So you want to know how Hail Damage is repaired with paintless dent removal. This video will show you the professional way that we take the hail dents out of your car using the Paintless Method. There are some DIY methods of removing dents that may work for you but most probably won’t. You may have heard of taking dents out using dry ice or heating up the dent with a hair dryer and using the cold freezing air from an air duster can that will pop the dents out. Maybe you can just pull them out with a plunger or suction cup. I have even heard people say they just leave it out in the hot sun and this will cause the hail dents to pop right out. The problem with these methods is that most of them will not work or provide a quality repair and you may just end up damaging the paint. By using Professional Paintless Dent Repair to take out the hail dents, you are choosing the method that vehicle manufacturers and insurance companies recommend to repair your vehicle with a better quality repair in a shorter amount of time. We first have a big quarter to half dollar size dent that is out in the open area of the panel. You can see this in the video showing the underside of the hood. We use a special PDR tool with special tips on it that we use to get on the underside of the panel and then we will likely just push up the metal thus removing the dent. This method of paintless dent repair you could try to do-it-yourself but if you don’t have any experience with it could be difficult because of the special techniques needed. We use our special PDR lights to see exactly where we are pushing the dent from under the panel and we make several small little pushes with light pressure “massaging” up every little spot. Some people have come to me and said they tried to remove the hail dents them self and they have just caused further damage that will not be possible to repair anymore with PDR. What will happen is if you go and push on the dent and you think you just gonna pop it out you actually bust the paint by pushing too hard or you can make little marks in the paint or in the metal from pushing too much. This video shows hail dents being removed with paintless dent repair. This Chevy SUV had about 40 hail dents in the roof. By removing the headliner we are able to make enough room to use our PDR tools to gently push each dent out from the underside of the panel. If you are in need of hail damage repair for your vehicle, then contact me today. I am often asked about taking out the headliner from a car when we are removing dents caused by hail damage. You will see in this video how the headliner comes down and goes back up with no problems. This time lapse video will show how we can remove the headliner from this truck for paintless dent repair. You will see how it is held in with just some screws, clips and the side plastic pieces. We take all that apart so that we can lower the head-liner. You can see that the headliner is just one solid piece of material made of fabric, foam and fiberglass that is sandwiched together. We only need to lower it enough so that we can access the underside of the roof panel with our paintless dent removal tools. We usually do not need to take it out of the vehicle. This way none of the electrical wires or the airbag system needs to be removed. Once we are done repairing the hail damage from the roof we will then put the headliner back in place, then putting all the clips and screws back. Then everything is returned back to the way it was. You would never know that it was in for repair. One question I am often asked is how do we repair the hail dents on the roof of a vehicle. With Paintless Dent Removal (PDR), the process we use to remove the dents is by accessing the inside of the panel so that we can gently push the dents out. We do not actually use suction or some “magic” method to “pop-out” the dents from the outside. In order to make a proper repair with (PDR), we need to access the hail damage dents on the roof of the vehicle from the underside. We are able to do that by lowering the headliner of the car. The cars headliner is one solid piece that is held in by several screws, bolts, and clips. Once these are removed, we are able to lower the headliner down to rest on the seats. When done properly and by an experienced technician, the headliner can be moved out of the way without any damage. Below is a hail damaged vehicle from some Minnesota storms. The roof of this Toyota has over 200 hail dents. This shows the access gained by removing the headliner so that we will be able to push out the hail dents. 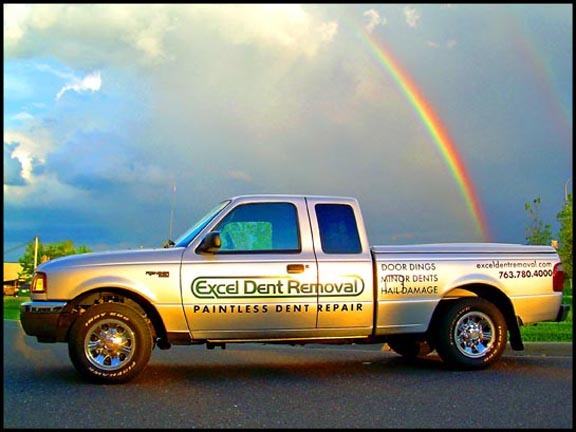 Contact Excel Dent Removal for an Excellent Repair. Hail stones fell from the sky again on 5/31/08, causing more hail damage in Minnesota. There were reports of golf ball size hail all over the Twin Cities of Minneapolis and St Paul. Several of the cities that had been damaged by the hail include the cities of Big Lake, Crystal, Eagan, East Bethel, Forest Lake, Golden Valley, Maple Grove, Plymouth, Rogers, and St Louis Park. Here are few more pictures from the local news website of the hail damage in Minnesota. Here is another news stations blog with more pictures of the storm and hail. Here is video from a stations evening news report of the hail storm. Here is the news story of the hail damage from the Minneapolis paper. This year there have been several severe storms across the country. 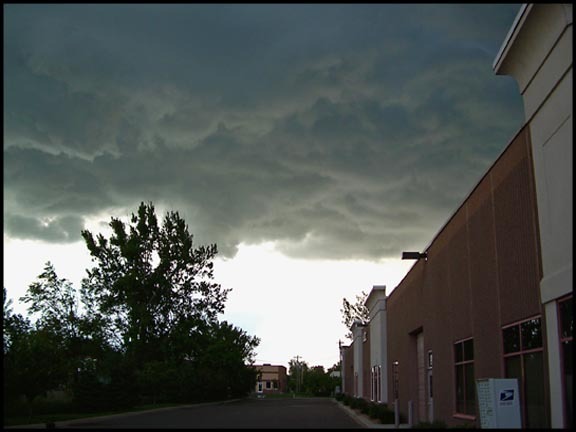 Now that we are into the summer in Minnesota, we may be looking at having more severe weather and hail storms this year. We are at risk for some more severe storms with the possibility of hail, high winds and tornados on Thursday. There are many reports of hail dented cars all over the Twin Cities. The insurance companies and auto body shops are busy writing estimates. Most shops will be making hail repairs for several months. There are also many auto dealers that were hit by the hail that will be having “hail sales”. Subscribe to the Exceldent Blog via RSS or keep checking back for our upcoming posts. Future posts about choosing a repair shop for your hail damage. 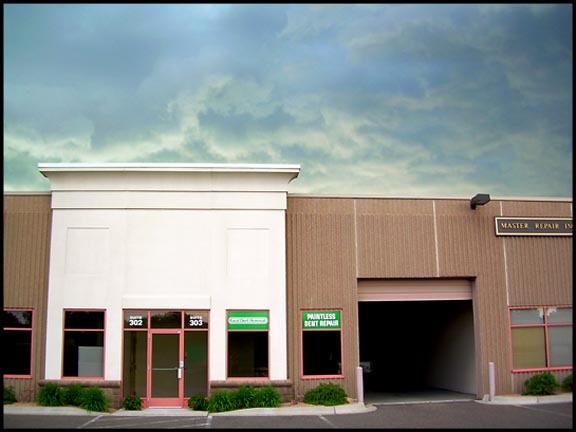 Knowing who is actually repairing your vehicle and discussing what repairs you want done to your car.Going Green, why paintless dent repair is safe for the environment. If you received hail damage to your car, choose Excel Dent Removal for your paintless dent repair. Talk with your insurance company and get a claim number. Have your insurance company look at your vehicle and give you an estimate. You can then bring us the estimate and we will then work with your insurance company to make sure your car is restored back to new again.